Flock and Rally has been honored to serve as Central Carolina Community Foundation's public relations agency of record since Summer 2014. The Midlands' expert on philanthropy, the Foundation makes a widespread impact across eleven Midlands counties with grant-making initiatives and donor-advised fund management services. 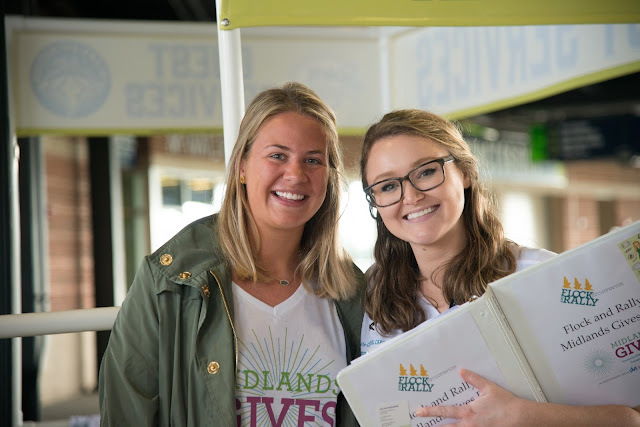 An obvious highlight has been managing media relations for the 24-hour online giving challenge, Midlands Gives, in 2015, 2016 and 2017. 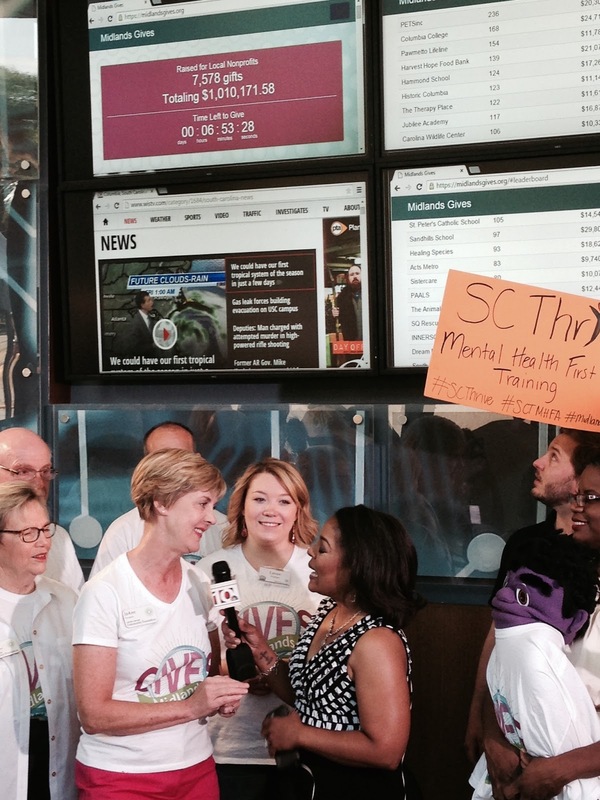 JoAnn Turnquist of Central Carolina Community Foundation and WIS anchor Judi Gatson share the moment Midlands Gives 2015 donations passed the $1 million mark, on live TV. Particularly exciting is facilitating all-day live broadcasts at Midlands Gives HQ, resulting in a media all-play thanks to the enthusiasm of a very generous press community. 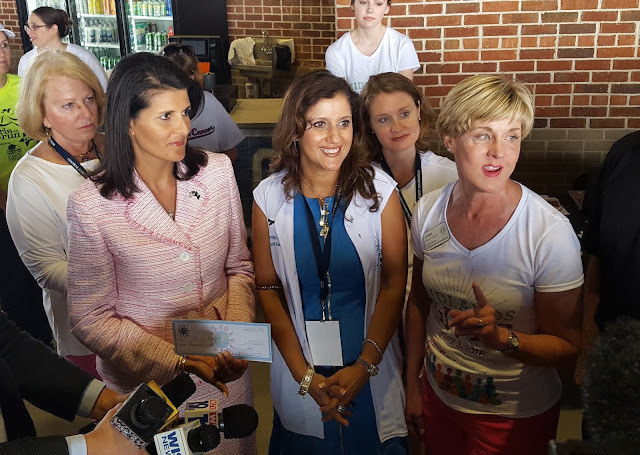 In response to the historic flooding of October 2015, the Community Foundation started a flood relief fund which has since become the One SC Fund, championed by the Governor of S.C. and advised by a board that includes Stephen Colbert, Dawn Staley, Darius Rucker and Marcus Lattimore. 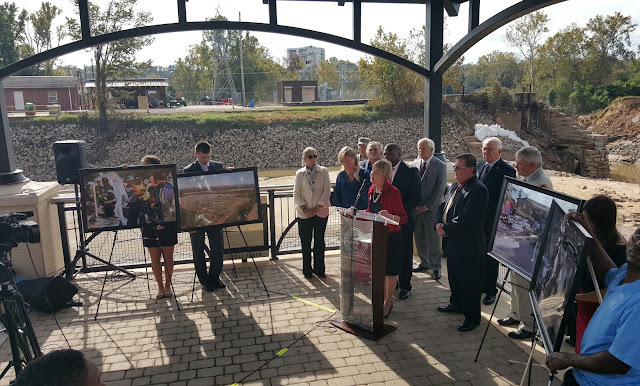 Regional Mayors Forum press conference, October 2015 at the site of the Columbia Canal breach. Our firm is proud to manage public relations services for this fund, 100% of which goes to local nonprofits providing direct flood relief in our state.